The law that governs private military security contractors in times of armed conflict is, at the same time, both too broad and too narrow. Historically in most of its legal instruments, international humanitarian law (IHL) has addressed the role of mercenaries in armed conflict. The Hague Conventions of 1907, the Geneva Conventions of 1949 and the 1977 Additional Protocols all speak to the protections for mercenaries in armed conflict. Most specifically, the International Criminal Court states that they do not hold any jurisdiction over the “crime of mercenarism”. With the increased incorporation of private military security contractors in conflicts around the world, this historical approach needs to be revisited and we need to determine, as an international community, the legal rights and regulations that bind PMSCs. Today, PMSCs are largely self-regulated. They set company-specific standards for themselves and proceed with carrying out their contracted mission. To be clear, the parts of IHL that references mercenaries does apply, in large part, to the activities of PMSCs; and further, it provides a launching point for determining where the responsibility lays for the actions of PMSCs. It does not provide a law by which PMSCs must abide by however. They exist in a legal limbo, both on an international and a national level. In the US, PMSCs do not fully fall within the parameters of the Uniform Code of Military Justice (UCMJ), as they are not active duty military, they will likely not become subject to laws of the “Host Nation” as that requires consent by the “Sending State” – something that the US would refrain from for many reasons, and they fall out of reach of the Military Extraterritorial Jurisdiction Act of 2000 (MEJA) as it applies only to Department of Defense contractors. This legal hole leaves the international community with a large problem, who and how are these important armed conflict actors going to be held responsible for violations of IHL? There are multiple examples that highlight the need for this question to be answered; one of the most intricate is the inspiration for these posts. The former Blackwater PMSCs who fired upon and killed 17 Iraqis in 2007 fall just outside of the parameters of all applicable law. We can analyze the situation moving from US law to international law and see how important it has become to reign in the activities of these non-state actors. Self-regulation doesn’t always work. t has become clear throughout the investigation of this incident that Blackwater was a troubled company. Many PMSCs are former military, specifically special operations, and have a strong sense of duty to their country and their cause. The Blackwater CEO at the time had begun to make changes in the company, demanding all employees declare their loyalty to just him. This is just one example of why self-regulation is not the sole solution to this legal struggle. Moving to the next level of law, trying PMSCs under US criminal law poses distinct constitutional issues as well as practical investigatory and evidentiary issues. A crime committed outside of the US is difficult to investigate and creates issues when trying to preserve the integrity of the evidence across such geographic expanses. In that same vein, allowing for the Host State to prosecute crimes committed by PMSCs in their territory poses even more practical issues. Many times, Host State governments and court systems are ill equipped to handle the situation or are corrupt. In this specific situation concerning Blackwater, the US was not going to allow the Iraqi government that level of unchecked power over US citizens. Moving to the next level, the UCMJ covers only civilians accompanying US armed forces in contingency operations. This provides jurisdiction for the US Armed Forces to prosecute contractors for criminal acts committed in the course of their operations. Practically, however, the Department of Defense has failed to publish the regulations guiding Judge Advocates Generals so they can properly proceed with prosecuting contractors under the new UCMJ. Again, this legal solution is also not enough. Moving into international law, the Hague Conventions of 1907 discusses the implications of mercenary, not PMSC, activity on neutral states. If a state is neutral in a conflict, they are not permitted to allow recruiting or other mercenary activity to occur in their territory. Additionally, in the Additional Protocol I of the Geneva Conventions (1977), Article 47(1) states that individuals who are found to be a mercenary would be deprived the rights of the combatant or prisoner-of-war status. Finally, the Rome Statute specifically states that the International Criminal Court has no jurisdiction over the “crime of mercenarism”. Looking at just these few sources of legal authority governing current PMSC activities, it is clear that the facts of each instance of PMSC criminal behavior must be creatively applied to the law to ensure accountability. 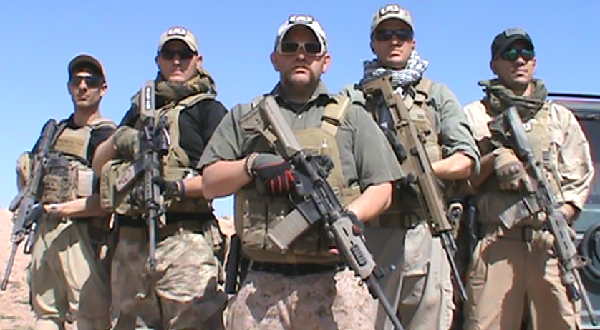 In the case of the former Blackwater employees, the legal case encountered all of the presumed legal difficulties; who, where, how, when? A solution, seven years later, as stated in my first post, likely put more of a diplomatic strain on the relationship between the US and Iraq. It is a call for more of an international law solution for the growing PMSC presence in international conflicts. It is a call we cannot ignore as more and more PMSCs participate in conflicts globally. Lindsay Stallings is third year student at the University of Baltimore School of Law, planning to graduate in May 2015 with a J.D. and concentration in International Law. She graduated from The Ohio State University in June of 2011 with a Bachelors of Science in Political Science with minors in Sociology and International Studies. She has also studied Spanish and Arabic language and culture extensively. While at The Ohio State University she was a member of the International Affairs Scholars program, through which she studied abroad in Bulgaria. She was active in the Undergraduate Student Government and was a member of various academic and student life university-level committees. Her primary interests are international law, national security, and U.S. Military and diplomatic policies. Through her coursework and relationships with our international law faculty she has developed a more focused interest in the policies surrounding international conflict and the capabilities of international courts. Lindsay currently serves as the Careers Director on the International Law Society and is a Staff Editor on the Journal of International Law. Her legal coursework and extracurricular activities have given her the opportunity to mold her passion for cultural studies and problem solving into an exciting international legal career. 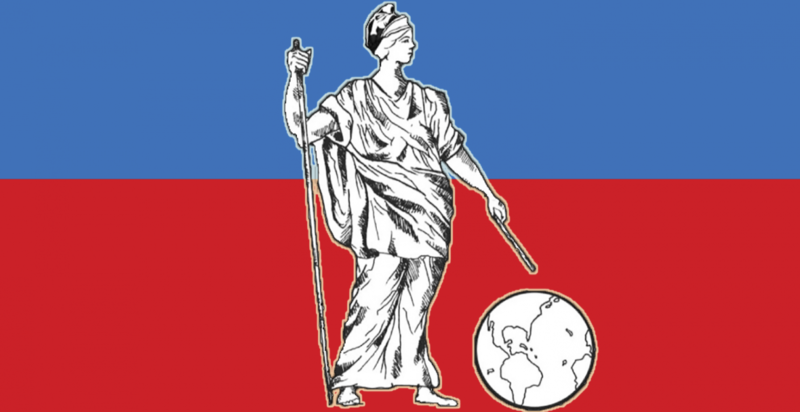 10 U.S.C. § 802(a)(10) (2006). GSLR 1314; see also Memorandum from Gordon England, Deputy Sec’y of Def., to Secretaries of the Military Departments, et al. (Sept. 25, 2007) available at http://www.aschq.army.mil/gc/files/Dep-SecDef%20Memo%20Mgt%20of%20Contractors%2025Sep07.pdf. Hague Convention (V) respecting the Rights and Duties of Neutral Powers and Persons in Case of War on Land, of 18 October 1907 (Hague Convention V). Categories: international law | Tags: Blackwater, domestic law, international law, Iraq, PMSC, private military contractors, UCMJ | Permalink.